Hello fellow collectors, my name is Chris. 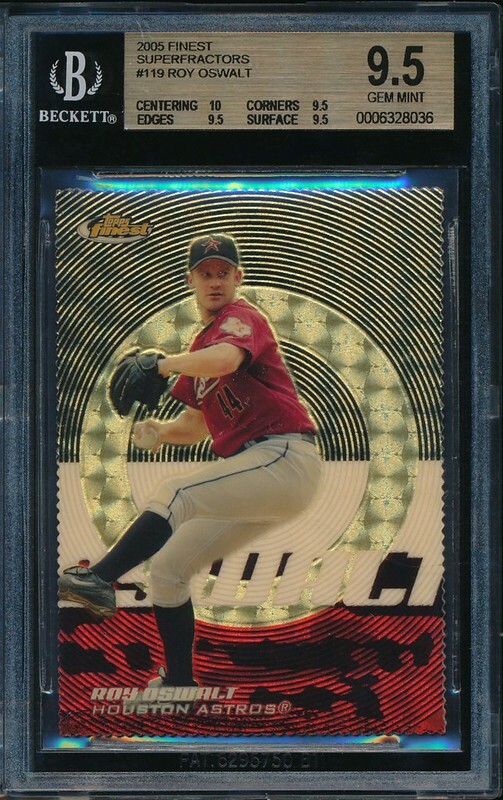 This site is dedicated to displaying my Roy Oswalt collection. 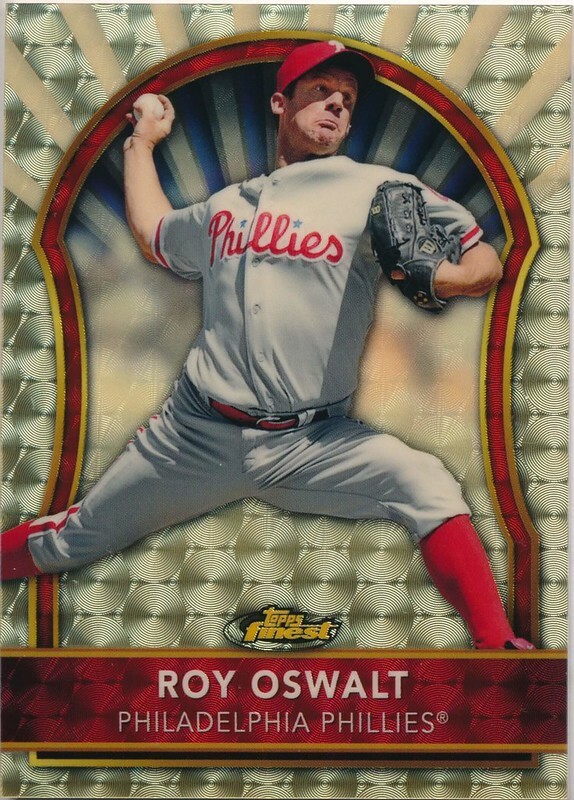 I've collected Oswalt for over 15 years, amassing uniquely different cards. 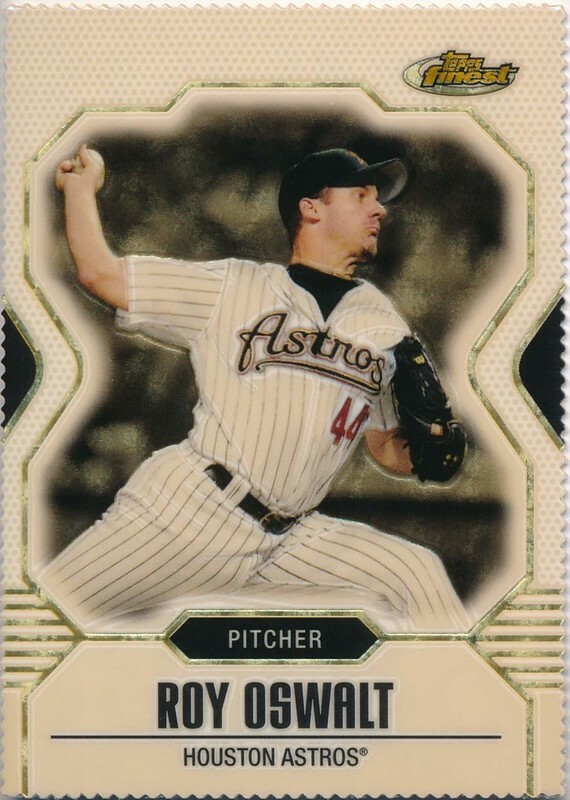 Put simply, this is the greatest resource for collectors of Roy Oswalt baseball cards. Please use the contact form in the footer to inquire about anything. The collection is updated often, with recently added cards and highlights listed below. Intrigued by the statistics above? They are the number of uniquely different cards in each category. Hover over or tap each category to see the individual completion statistics. How did I estimate such lavish ratios? Beckett is the first step. Then I eliminate the cards I presume undesirable: oversized, minor league issues, show stamped (such as Hawaii or Chicago), and certain aftermarket cards. All pages contain high quality scans. The 1,800 different cards mark has been reached! Beyond that, I have made big changes to every page. The lightbox gallery for my images has been upgraded, and it is now available on every page. I've been holding onto a large stash of cards for the last few months. These include several 1/1s, my most wanted auto (2003 LCM Emerald Auto), and several patches. At the end of all this cataloging, I will reach over 1,800 cards. It's been awhile since my last update, but I will be adding over 50 new cards soon. The 2003 Leaf Certified Materials Mirror Emerald 5/5 is the stand out card. Over 40 new cards have been added in the last week, including my first GU button. The other highlights are two 2004 SP Chirography Zito/Halladay triple autos. There are many new autographs and patches to be added, which will get me close to 1,600 different cards. My first superfractor autograph has been added, which is the 10th overall super. This is my 3rd 1/1 autograph from 2017. After a bit of a COMC binge, I have acquired card #1,500! 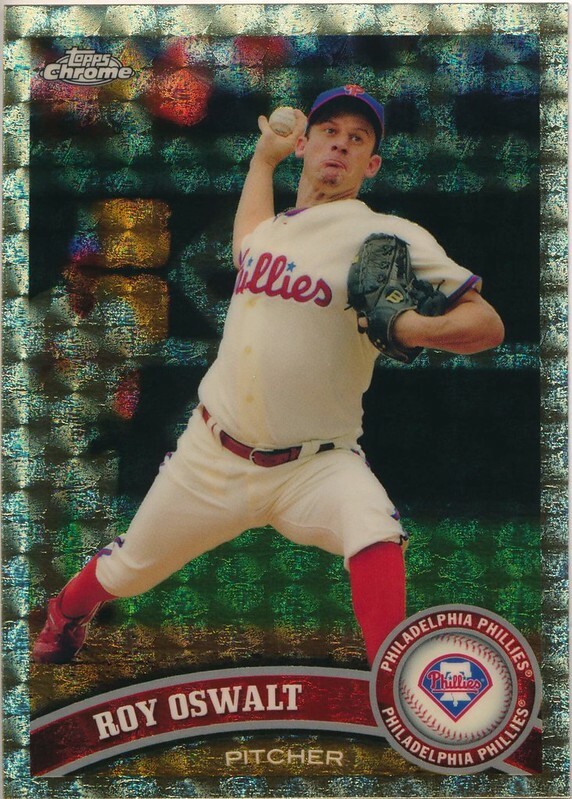 Among the prominent cards in the updates today were: another 2005 Zenith Epix. I am now 21/24 for the completion of the set. The 2010 Topps Finest Red Refractor pushes me over 120 different refractors overall. 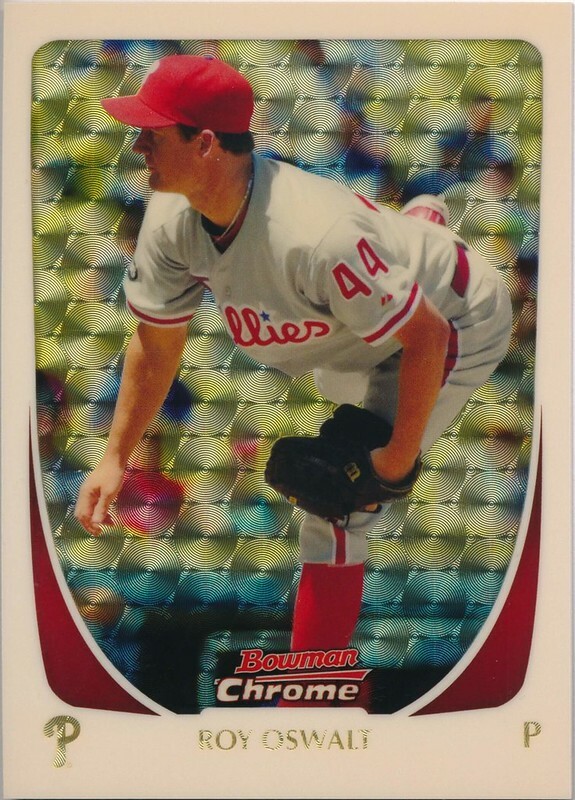 For the 1,500th card: my first logoman 1/1. I have reached the second big milestone of 2017: card #1,400! Several new scans of superfractors were added as well. A few pages have been updated for better usability. Now it's much easier to scroll through a page, or just jump to a specific year. Also, over 50 new cards have been added since the last update. I'm now 102 cards away from 1,500! The game used category now includes cards from 2012. All totals have been adjusted to include 7 new cards. 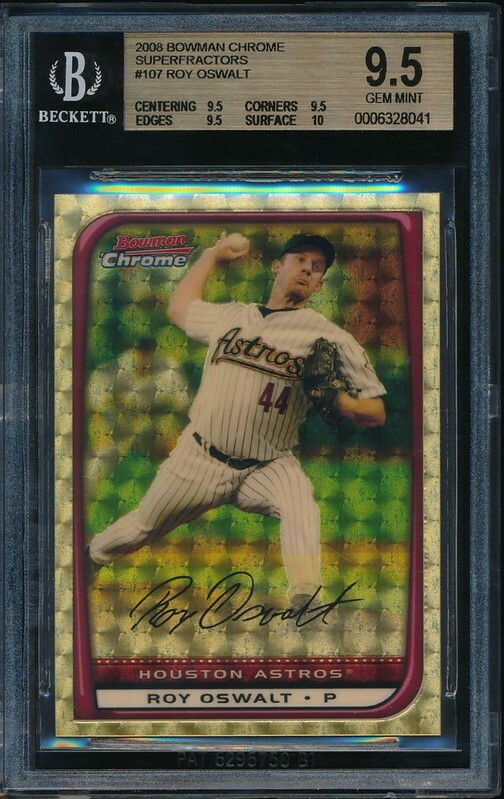 After roughly 14 years of collecting Oswalt, I've hit over 1,300 cards. The large category of base, inserts, and parallels has also hit over 1,000 cards. It has been a labor of love to amass so many cards. The next goal is reach to the prestigious 1,500 club. My new scanner is here, specifically the Canoscan 9000F Mark 2. The quality is fantastic. See it in action for my 30th 1/1 from 2005 Reflections. The domain for this site has finally been transferred! I will no longer be updating the old site. I've continued to make improvements to some old code. New cards will also be added soon. I've added 12 new base and parallels. This brings that section up to over 50% completion, making it the second to reach that distinction. I've made many style improvements and bug fixes recently. I'm adding a new page featuring all cards in one giant list. Additionally, there will be around 80 new cards added soon, bringing the total to over 1,300! The majority are parallels, but I was able to acquire some game used. It's been awhile, but I'm back! This is the first blog posting for the new site. Recently, I decided to do away with Weebly for hosting. I highly recommend Github Pages for free hosting. This site is a work in progress, so some aspects will not be perfect. However, I'm working daily to get things in order. In the footer you will find a contact form. 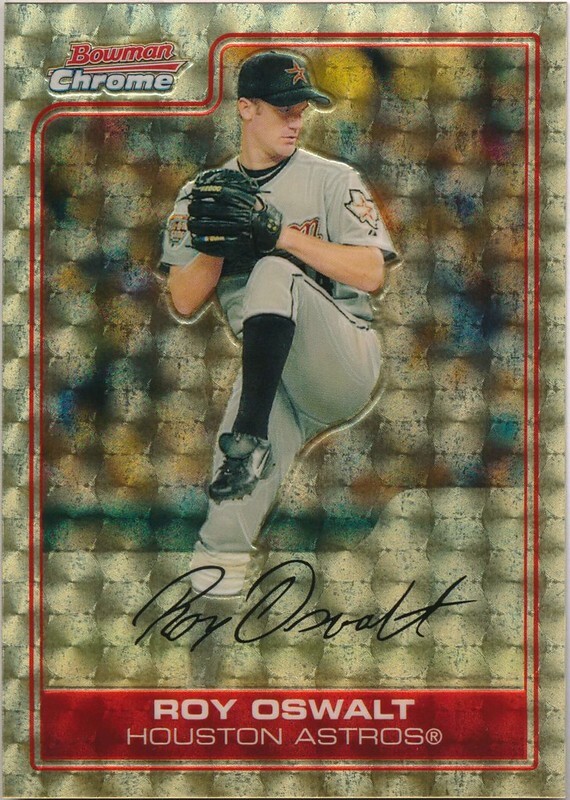 Coming soon will be a redesigned site for my Roy Oswalt collection. I will also be adding information on my appraisal service and galleries for my investment cards. Please be patient during the transition. 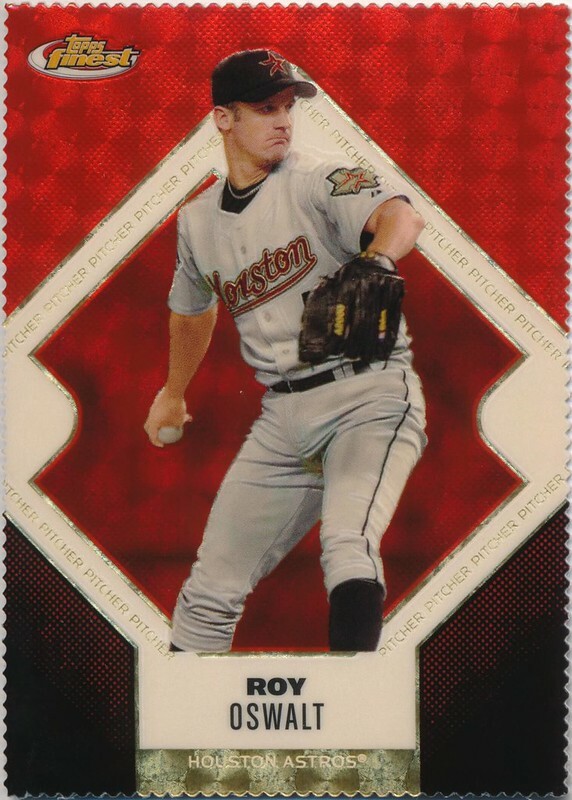 Since 2003, my personal collection has revolved around Roy Oswalt. I'm always looking to acquire new cards from 2000 to 2019. Please use the contact form, or send a message via eBay or FreedomCardBoard. For my scans I use a CanoScan 9000F Mark 2. If you prefer an alternative viewing experience, high quality and high resolution images are available on Flikr. Most of what you see is original CSS/HTML/JS by yours truly. It can all be viewed on my Github repository. Outside of collecting, my passion is web development and design. Check out my Codepen for more details. 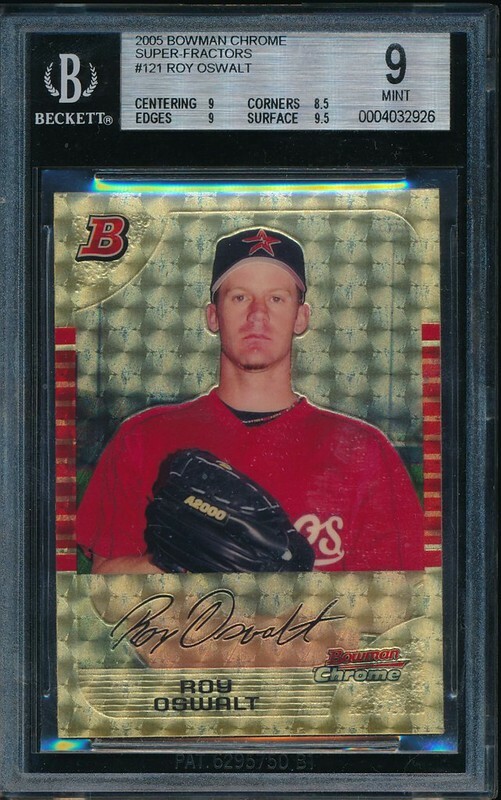 Favorite card(s) BGS 9.5 Retro Refractor. Most copies of a single card 27 of the SPX. Favorite card(s) 2001 Donruss Elite, 2003 Leaf Certified Materials, 2005 Bowman Chrome Refractors, & 2006 Special F/X. Most copies of a single card 5 of the 2001 Elite. Favorite card(s) 2001 Bowman, 2001 Donruss Elite, 2002 Topps Ten, 2005 Absolute Tools, 2005 Reflections Fabric, & 2006 Turkey Red Black. Most copies of a single card 8 of the 2001 Donruss Elite. Favorite card(s) 2003 Upper Deck Classic Portraits. Most copies of a single card 2 of the 2002 Sweet Spot USA. Favorite card(s) 2003 Mirror Black, 2005 Bowman Chrome Superfractor, & 2005 Turkey Red Suede. Fun fact the 2005 Turkey Red was my first 1/1. Name Email Have a card I need, or other inquiry?